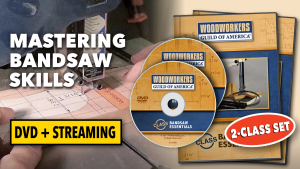 With nearly 4 hours of instruction, this set combines two in-depth video classes from Woodworkers Guild of America, focused specifically on bandsaws and their many functions. Together, these classes will provide you with invaluable instruction and will help you get more out of your tools, your time, and your skills! Each of the classes you’ll receive includes bonus printable PDF resources that will supplement and expand upon the video instruction you’ll see. See below for a description of the two classes in this set. 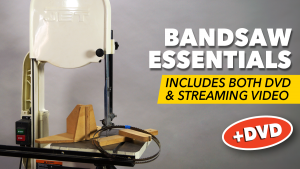 From tight curves to large sweeping curves, thin stock to thick timbers, bandsaws can handle it all. 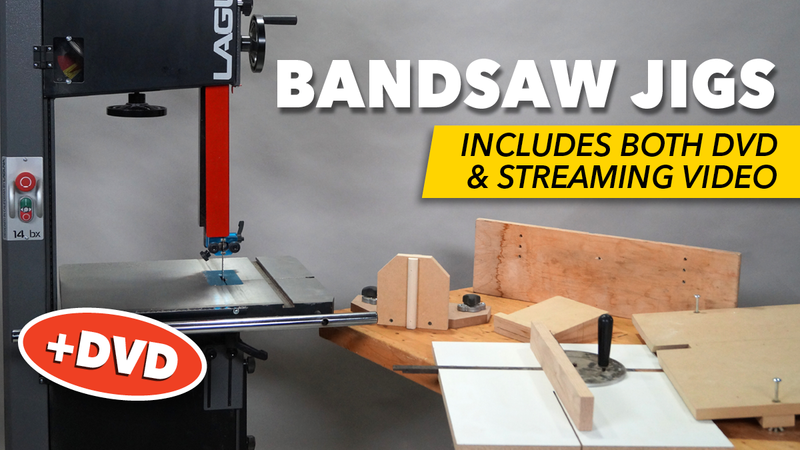 Equipped with the right blade, and correctly set up, the versatility of a bandsaw is amazing. 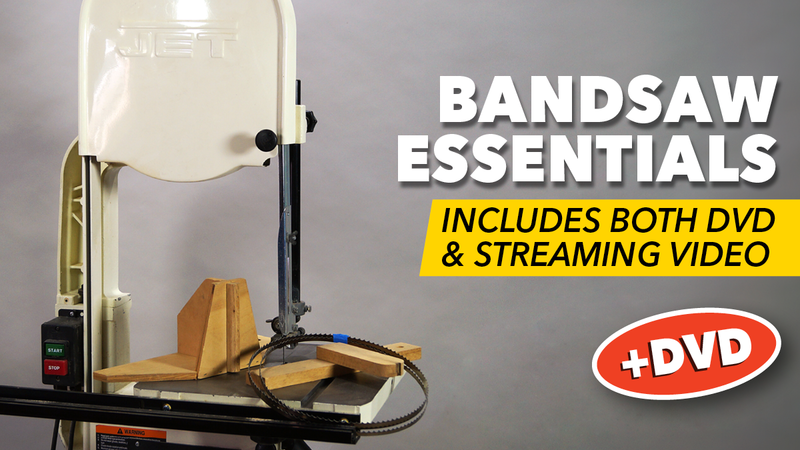 The bandsaw is already an incredibly versatile tool, allowing you to make cuts no other machine in a shop can do. 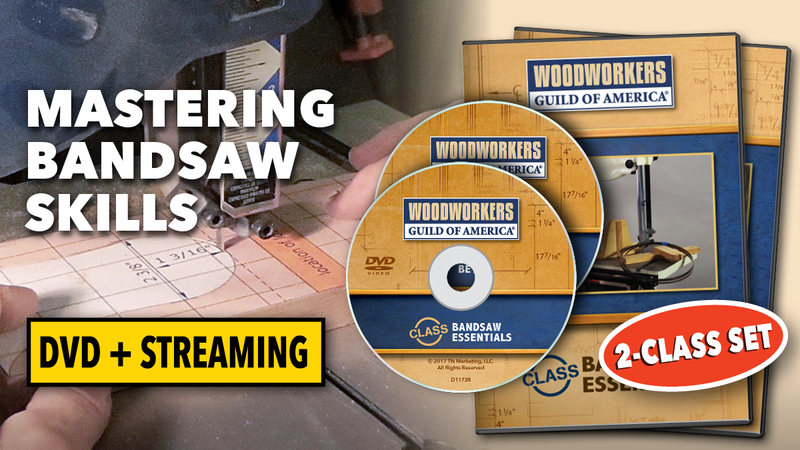 From sawing logs to doing joinery to cutting fine details, a bandsaw can do it all, and more. You can take your bandsaw even further by building and learning to use a few simple shop-made jigs. And video class is a great way to learn how to make and use several helpful jigs. 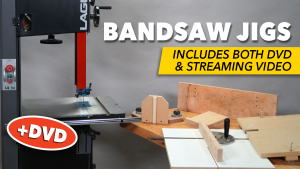 The jigs will make your bandsaw easier and safer to use, and allow you to make cuts you couldn’t make without them.